The vibe is young, the sounds are happy. 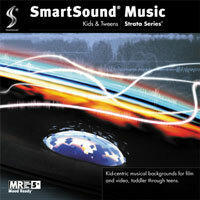 Kid-centric musical backgrounds for film and video, toddler through teens. Make the most of these tracks with Mood Mapping to mash up the perfect mix for your target age group.